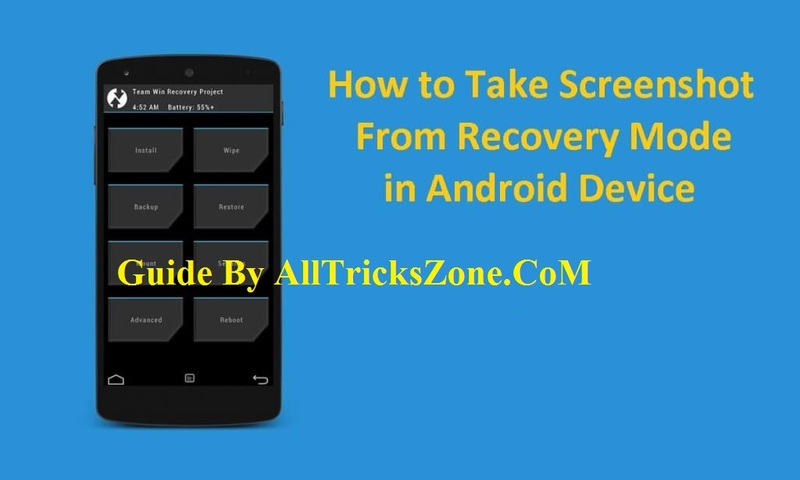 Hello, Friends, I’m back with another Cool tricks of Taking ScreenShot of recovery, So in this Easy Guide i will tell you, How can you Take Screenshot from Recovery Mode like CWM, TWRP etc most of you already know about How to Take Screenshot While Device Normally Power + Volume Down Button at same time. But if you are using Custom Recovery Like TWRP, CWM etc, then you must know, how to take Screenshot in this kind of Recovery mode in your android device. Sometimes you may need to share Screenshot, which you have captures from your Recovery Mode. Previously we was also shared How to Flash Custom ROM in android device. So in This Full Guide i will explain you how can you Get / Capture/ Take Screenshot in Custom Recovery in your Android Device with the help of ADB Tool easily. So guys as you all know that most of the Android Users Play Games and Get high Scores for Share Screenshot with their Friends So for this peoples take screenshot of Home Screen for show to other people But if you want to take Screenshot from Any Custom Recovery mode, Then what you can do? as you know, Shortcut like pressing power + volume Down at once will not work in recovery mode for take screenshot. 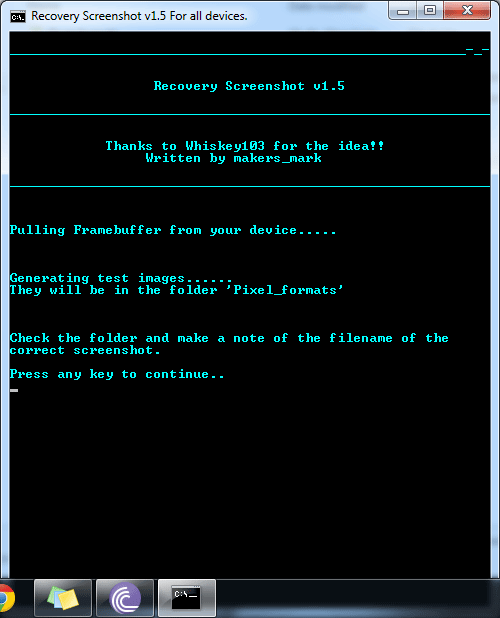 So if you want to take a Screenshot from your Custom Recovery mode, then you have to use a Simple Toolkit Which i have provided below. Also Try How to Control PC from Android Device. Also Try – How to Change IMEI of Android phone. This Tool is available for Windows PC users, So if you have Windows PC / Laptop, then Follow Step By Step Full Tutorial now from Below. If you wan to take Screenshot From recovery Mode in your Android Device. So Guys, Below I have mentioned some of the basic and easy requirements about how to take screenshot in recovery mode from android device. You may be need a below things, for screenshot while you’re using recovery mode in android device. So simply let’s have a look on Easily Taking Recovery mode Screen Shot. In Below it the download link for Screenshot capture tool in recovery mode, you can unlock below content by share it on any Social Media & click on Download Button for start downloading this tool instantly. So, Let’s have a simple look at this now from a below easily. Firstly, you need to Reboot your Device into Recovery Mode, for Get Screenshot in Recovery Mode, And you can flash Screenshot from custom Recovery while flashing Custom ROMs, GApps Etc. So, if you are getting some kind of errors in your Recovery Mode & You want to share that Screenshot with your friends, for helping you then you can easily take Screenshot from Recovery Mode by Following Below Full Easy Steps. 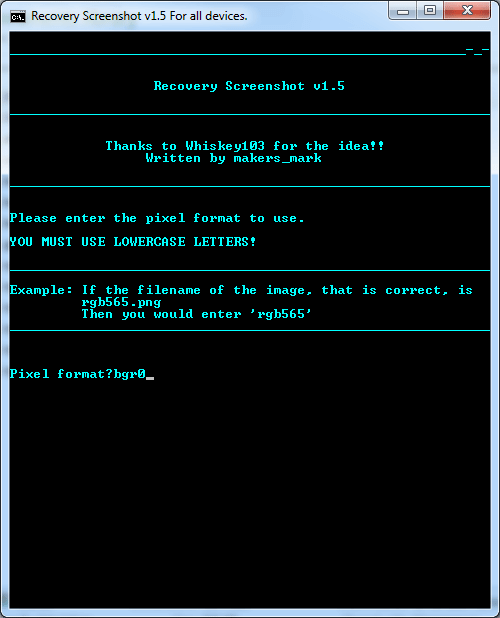 That’s it guys This was the Easiest way for getting / take screenshot from any custom recovery mode in android devices. This easy method is perfect working & we have tested it personally tried. Also have a look at Couldn’t Save Screenshot Storage may be in Use, so, If you want to root your Android Device and you don’t have PC and also if you have any Issues, While Follow above Full Easy Guide, then feel Free to Comment below. I will try my best to help you out. Also Read How to Schedule Download In Android. Thanks for visiting Stay connected with us for more cool awesome tricks like this.